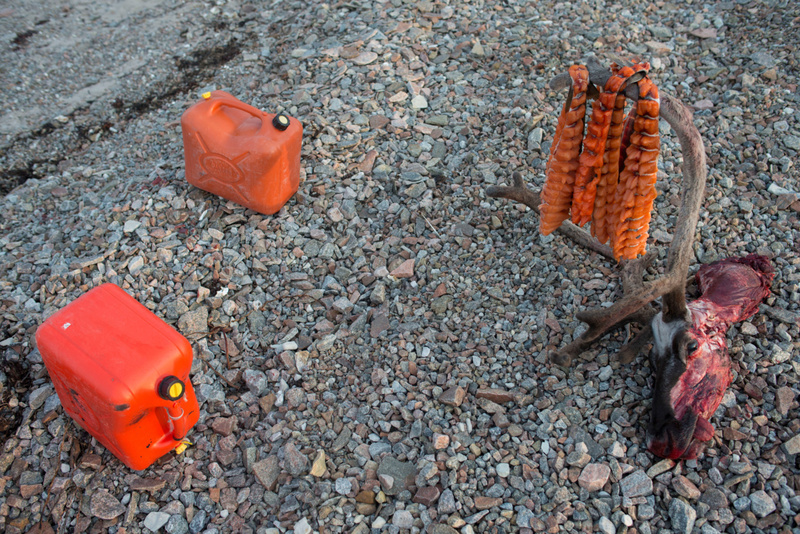 Louie Palu, Jerry cans with fuel and a caribou head with Arctic Char drying on its antlers seen at a base camp for Canadian Rangers Type 1 Patrol North of the Inuit Hamlet of Naujaat, Nunavut, 2015–2018. © Louie Palu for National Geographic. 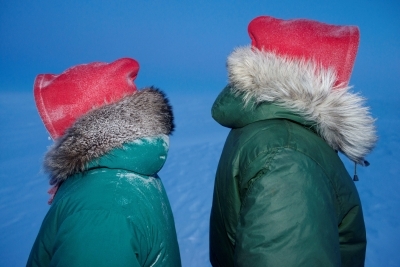 Photographer Louie Palu will give a walking tour through Distant Early Warning, which explores the evolving geopolitical change in the Arctic and the challenges associated with working in one of the most extreme environments on the planet. Free with gallery admission.